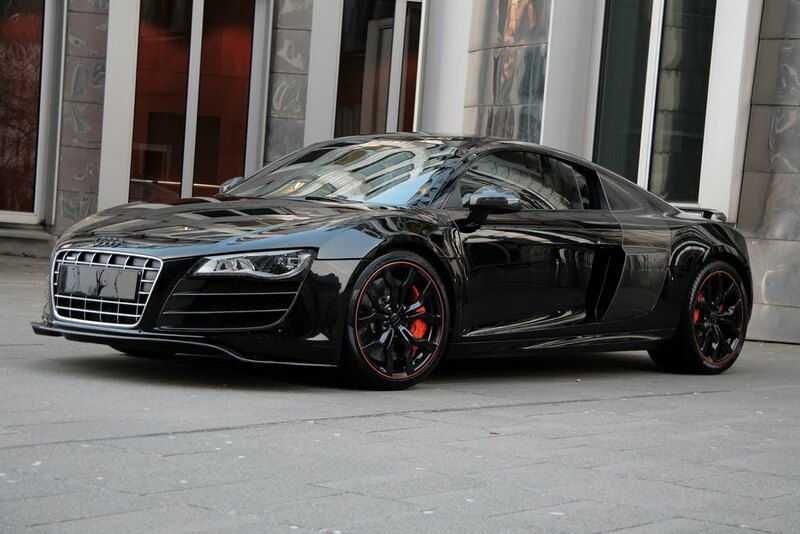 Dusseldorf-based tuner, Anderson Germany has today revealed the company's latest creation; the Audi R8 Hyper Black Edition. Based on the Audi R8 5.2 FSI, Anderson's Hyper Black Edition boasts 589 horsepower, a Rennkats exhaust system, 19" carbon-coated wheels, Racing Orange interior/exterior accents and whole a host of carbon fiber accoutrements. All resulting in one seriously menacing package. Outside, in typical Anderson fashion, carbon fiber can be seen in all of the right places. The front spoiler lip, rear spoiler (also improving down-force), rear diffuser and mirrors all receive the carbon treatment. In addition to the jet black paint scheme, tinted windows and rear lights (along with black badges) all serve the car's "Hyper Black" namesake. 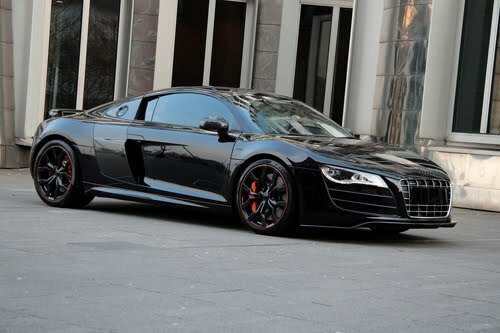 All black, except for the conspicuous use of Racing Orange on the lips of the 19" carbon-covered wheels and brake calipers. The orange, in our opinion, being the perfect accent color for this particular machine. Of course, looking mean is only half the battle. The other half comes by way of a 589 horsepower, 5.2-liter V10. 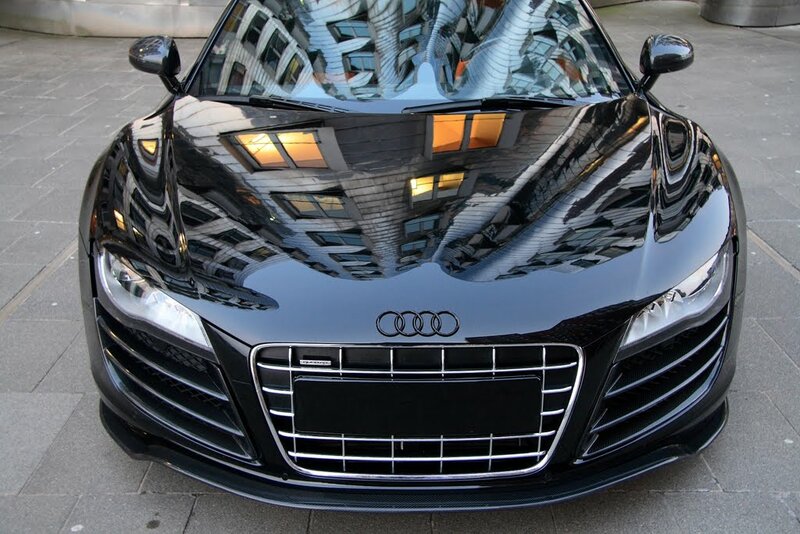 Boasting 64 extra horses over stock, a software optimization, performance air intakes and a Rennkats exhaust system (with remote-controlled valve adjusting system) are all enough to even top the company's earlier "Racing Edition" R8. Finally, the exterior color theme continues even after you pull the door handles. Inside, the R8 Hyper Black is finished in matte black carbon fiber-look leather combined with orange Alcantara accents. 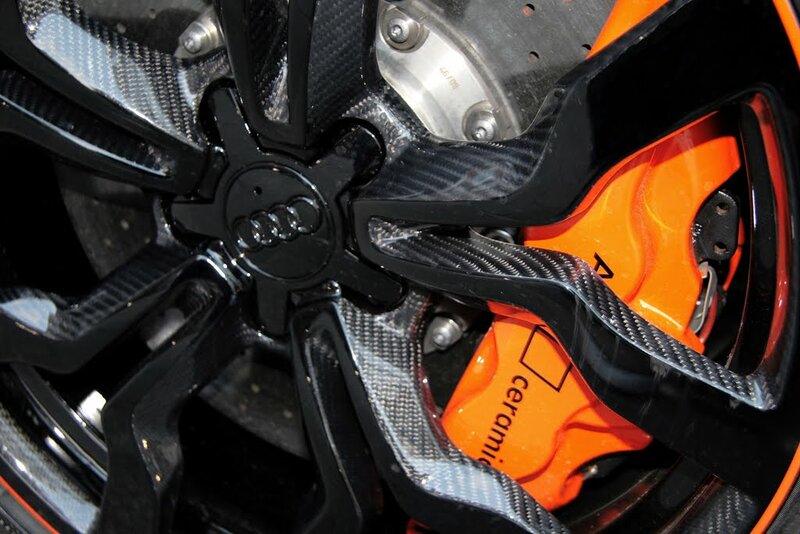 Of course, carbon fiber is then applied everywhere possible. The handbrake handle, radio visor, ashtray, seat adjustment handles, door panels, side panels of the center console, shifter surround and steering wheel each sport the carbon weave. All told, we're more than willing to give Anderson Germany's Audi R8 Hyper Black Edition, our "sinister R8" seal of approval. Among external and thus visible changes, it is worth to mention exclusive carbon-coated 19-inch rims painted in body color with edging in Racing Orange style. Through the rim, the brake caliper is visible, of course, painted in Racing Orange as well. On the other hand, the carbon exterior package should also be mentioned which, apart from the window frames, has “covered” various other parts like the front spoiler lip, rear spoiler for improved downforce, the rear diffuser and the mirror. All windows and rear lights were tinted. Last but not least is the expensive paint finish in black mirror which Anderson worthily called Hyper Black. 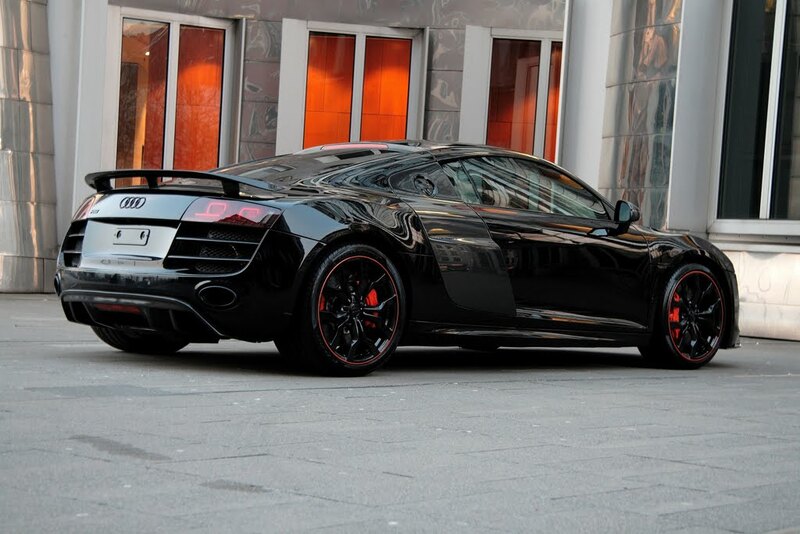 This paint gives the R8 V10 somewhat a black soul. 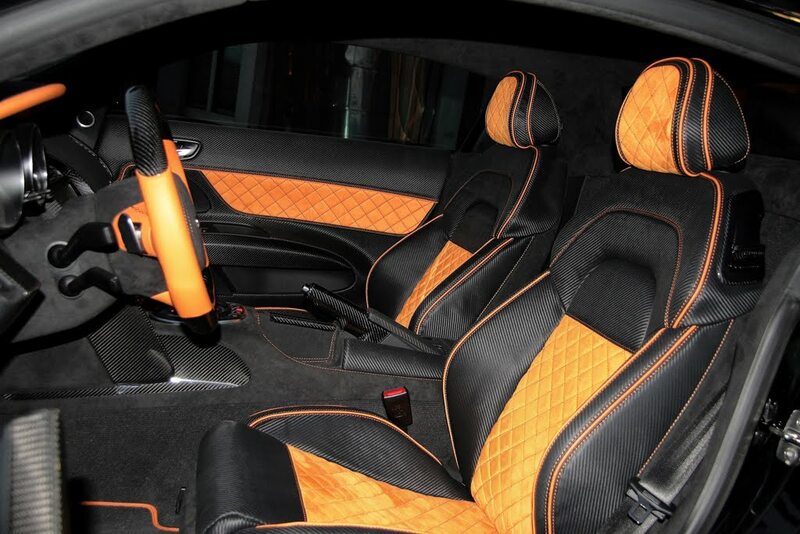 The interior finish with matte black carbon fiber leather combined with orange Alcantara holds any comparison. At this point, this so-called carbon interior package includes the handbrake handle, the radio visor, the ashtray, the handles of the seat adjustment, door panels, and the side panels of the center console and shifter surround. And finally, the already first-rate sports steering wheel was additionally enhanced with visible carbon.